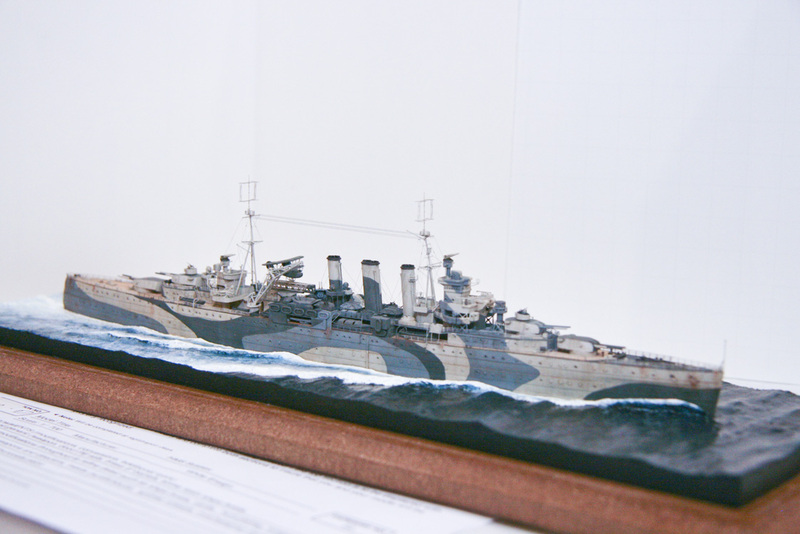 We’re still working out how to best bring large amounts of photos to the new website. In the meantime, the IPMS USA website has posted all of our photos from the April 6th show. We will have the listing of winners in each category along with photos of each posted within the coming days. The April 12th meeting had a high turn-out. Dinner was served, ribs and fried chicken. The tone was low-key, however, and the contest an open one, as everyone recovered from, and recounted MosquitoCon experiences. Actual numbers of attendees, kits, etc., will be discussed at the May meeting, but suffice it to say both are well into the hundreds as is the norm for MCon. We’re still working to process all of the photos, and should have the contest winners posted, and all photos ready within a week or two. Until then, here’s what was on the table at last week’s meeting. Thank you again to everyone, and please mark your calendars for April 5th, 2014, and MosquitoCon 23! Less than 24 hours to go, and NJIPMS is as ready as we’ll ever be to put on MosquitoCon 22. We’re expecting great weather and a large turnout. All vendor tables are sold out, we have some amazing raffle prizes from some great donors , and Ironbound Trophy Center promises to deliver some great looking awards, all thanks to our trophy sponsors. 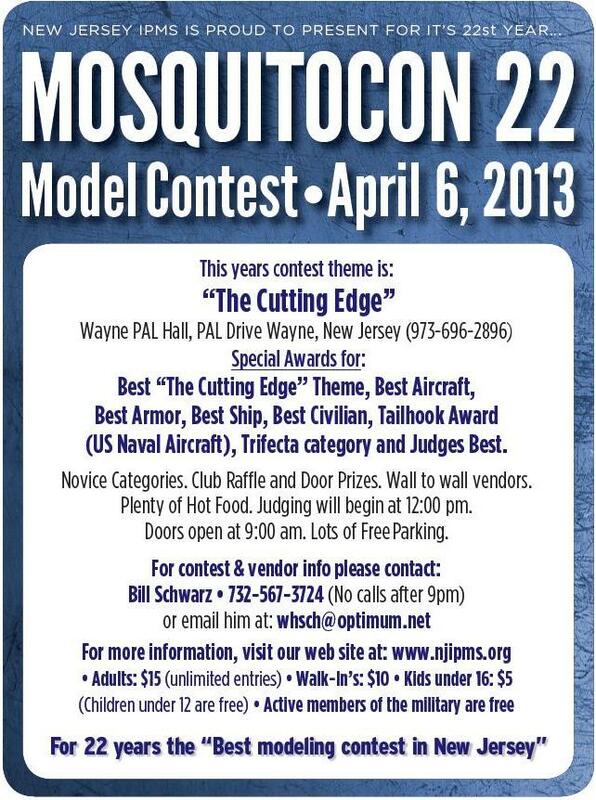 Last minute info you made need is probably on the main MosquitoCon 22 page, with links to registration forms, contest categories, and directions to the PAL in Wayne, NJ. Doors open at 9 a.m. tomorrow morning. We hope to see all of you there. With mere hours left before MosquitoCon 22, last-minute updates have been made to the website, with the addition of a page recognizing our Vendors and Raffle Sponsors. Remember, if anyone has any questions, concerns or queries about the show this coming Saturday, please feel free to Contact Us. The April 2013 edition of the MosquitoGram has also been added.